Important lessons learned over the last two decades. 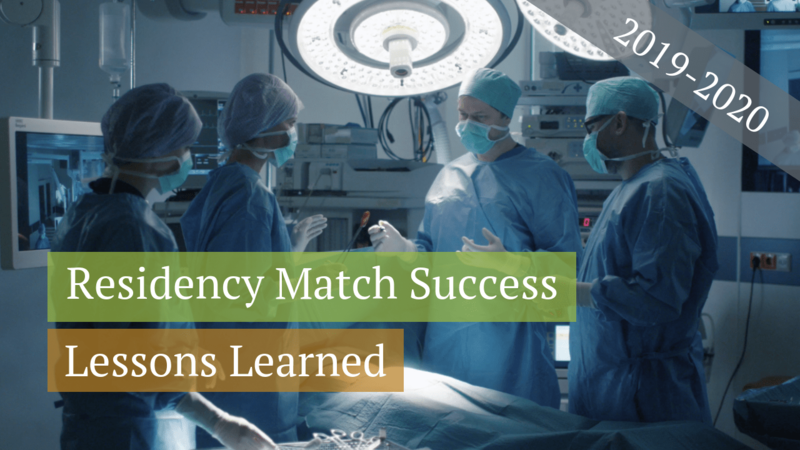 With third year medical students starting to think about the upcoming residency match season, it’s a good time to review Residency Match Success: Lessons Learned, what residency applicants can do to improve their chances of matching. As third year students start to think about planning the fourth year of medical school, I want to focus on factors that are still (for the most part) within the residency applicant’s control. This article should also be useful for anyone who may be entering the match in the future. What are the most important factors for residency match and what do residency programs look for in applicants? These “audition electives” can really help your chances of matching at a program especially for more competitive specialties. Some applicants with whom I speak are often fearful of doing away electives because they believe a less than perfect performance may actually hurt their chances of matching at the program where they rotate. Indeed, this is often not the case. As the associate director of a program, I often found that applicants who demonstrated a solid (or even mediocre) performance when rotating with us were ranked higher than other applicants with slightly better stats. Most program directors would rather take a student whom they know will be a solid, “no-problem” resident than take a risk on someone with whom they have not worked. 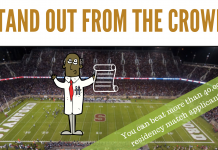 Need help with the 2019-2020 residency match season? Click here for a FREE 15 minute consultation. It is essential that you ask for letters from faculty within the specialty to which you are applying. MedEdits recommends getting at least two letters from faculty within that specialty. In general, the best letters are written by people with whom you worked and, ideally, they should be clerkship directors, program or associate program directors, chairs or other academic faculty. When I reviewed applications for an emergency medicine residency program, while I read all of the letters carefully, I paid special attention to those letters from emergency medicine faculty. Your interest in your specialty goes beyond doing well on your rotations. For some specialties, doing research is not required or expected, but, for others, research in the specialty is the norm. In fact, some applicants to very competitive specialties spend a full year doing research. Consider joining your specialty’s national organization or becoming a student member on a national committee. Good examples would the the American Academy of Family Physicians, AAFP, or American Academy of Pediatrics, AAP. The more involved you are in your specialty, the more committed to it you appear. This is especially important for if you’re trying to figure out how to get into top residency programs or a very competitive specialty. It is most likely that the last personal statement you wrote was for medical school. The approach you should take for your residency personal statement is different; you must convince the reader of your commitment to the chosen specialty. Some creativity will help engage your reader, but, in general, this statement should be a less creative piece than was your medical school personal statement. A well-written personal statement that piques the reader’s interest will increase the odds that you will be granted an interview. 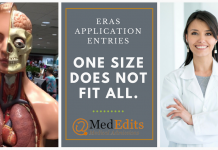 The Electronic Residency Application Service (ERAS) allows you to write more than one personal statement so consider writing different statements for different types of programs. 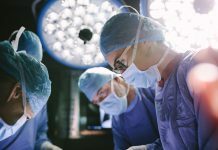 For example, a community based program does not necessarily want an applicant who hopes to make research a major part of his or her residency training. You can also write a statement targeted to a specific geographic area. The written descriptions of your activities in your application are also a key to success. Make these entries interesting and be sure they highlight what you have accomplished and learned. Ideally your application entries and personal statement should complement each other. I find that many students are not comfortable talking about themselves so it is essential to practice interviewing. The interviewer is trying to assess your interest in, understanding of, and commitment to the specialty. They want to discover if you have good interpersonal skills and if you will be a good fit for their program; they also want to make sure you do not have any major psychopathology. Most residency interviews are conversational and are conducted by a wide spectrum of people from senior residents to chairs. As a result, the experience and skill of your interviewers may vary tremendously. We find that more specialties and programs are now asking applicants behavioral questions. All of your interactions on your interview day are important. Be kind and respectful to everyone you meet, including residents, nurses and staff. If, during an interview day, my residency coordinator had concerns about an applicant, I listened since I knew and trusted her judgment. Remember that everyone has influence in this process. One negative impression can cause your ranking to suffer– or worse, it may bump you off a list. 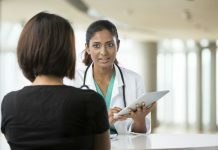 A recent survey of program directors by the National Residency Matching Program indicated that following up with programs and “second looks” were not important factors when ranking applicants. That said, I believe that thanking those who took time out of their day to meet you demonstrates that you are gracious and courteous, which are important qualities for a medical professional. Before you even start interviewing, identify a faculty member whom you think would be a good advocate. Once you decide how you will rank programs, ask this person to call your top choice programs to put in a good word. You should also consider asking for additional letters of reference that can be sent individually to all of the programs where you interview or will rank. It is Murphy’s Law. If you rank a program where you really don’t want to go, you will match there. If you know, without a doubt, that you do not want to go to a program, then don’t rank it. Think of all your written materials, such as letters of reference, application and personal statement, as your “ticket” to your interview. If the person reviewing your application is intrigued, they will invite you for an interview. Then, your interview day becomes the key to your success. 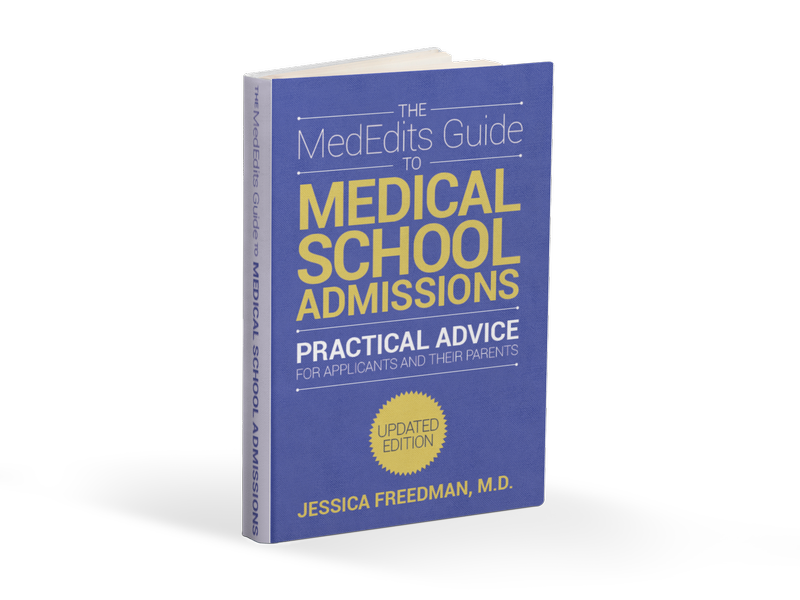 I know that all of this may be overwhelming as you embark on the path to your residency match, but as you start interviewing, you will become less anxious and more comfortable. 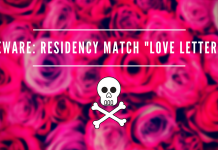 Be sure to follow these Residency Match Success: Lessons Learned guidelines and feel free to comment below. Good luck to everyone and match well.